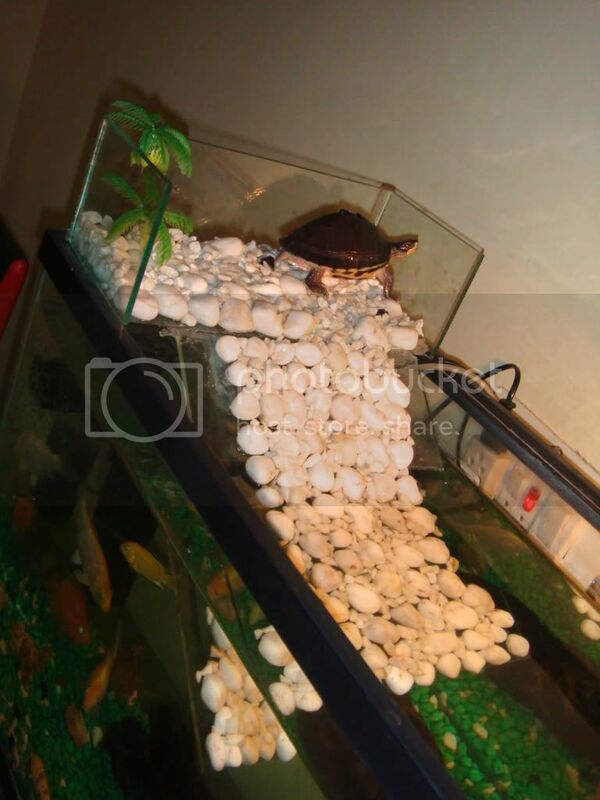 http://indianaquariumhobbyist.com/community/ :: View topic - Turtle ramp. Posted: Sun Aug 29, 2010 1:51 pm Post subject: Turtle ramp. Can you tell me what this turtle ramp is? And where it is available in Kolkata? Posted: Sun Aug 29, 2010 4:32 pm Post subject: Re: Turtle ramp. 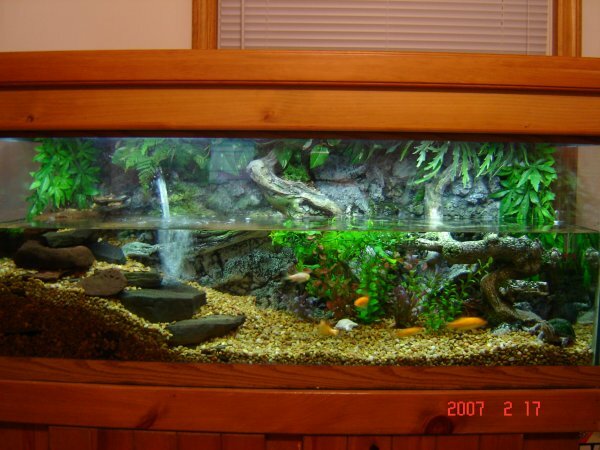 something like this with a lil lower water level. pic is not mine. found it on google. ok found what you were lookin for. Posted: Wed Sep 01, 2010 10:55 am Post subject: Re: Turtle ramp. Saw this in turtleforum; a guy from india did this; he has simply used glass; glued the pebbles using silicone so that the turtle gets a grip. This is called ATBA : above the tank baskin area. Very important. The height in the baskin area is very low; I guarantee it that the turtle will climb out of it (dont listen to Edit like turtles "may" climb; they will). So you gotta take care of that. Posted: Wed Sep 01, 2010 12:17 pm Post subject: Re: Turtle ramp. Posted: Wed Sep 01, 2010 12:42 pm Post subject: Re: Turtle ramp. Posted: Wed Sep 01, 2010 2:22 pm Post subject: Re: Turtle ramp. Posted: Wed Sep 01, 2010 2:41 pm Post subject: Re: Turtle ramp. 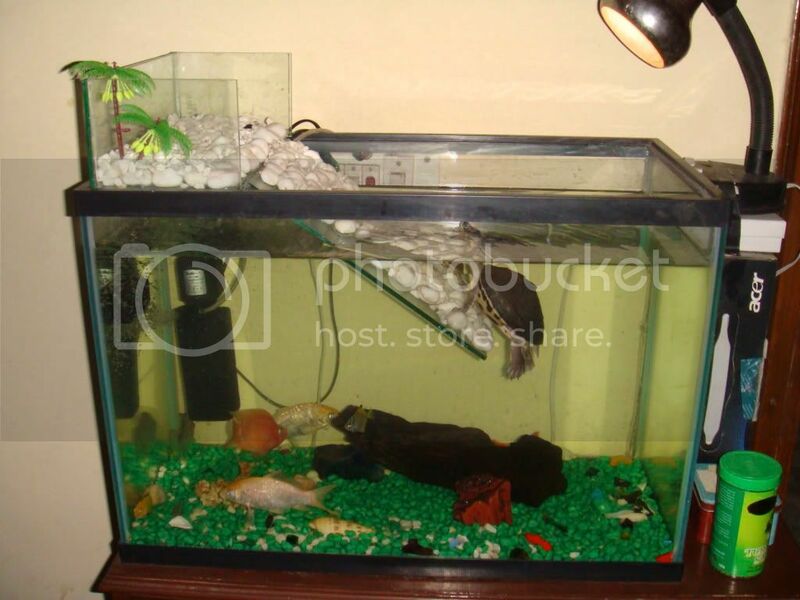 Beautiful turtle Plateform or Basket but I think the corner of glass which is in the water is dangerous for fish. It injured the fish.